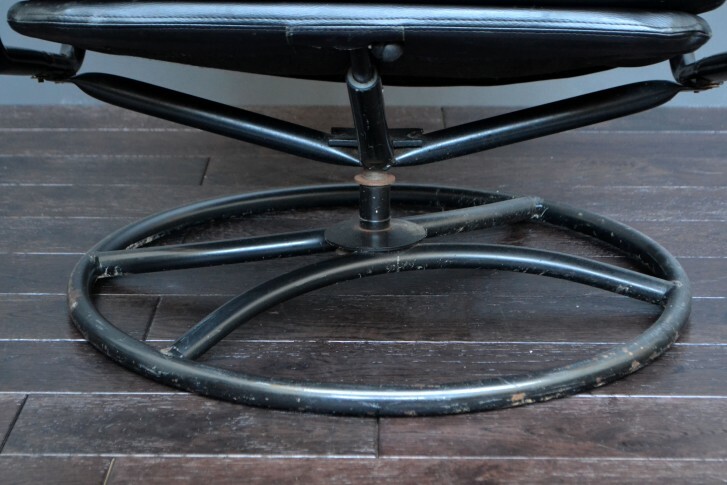 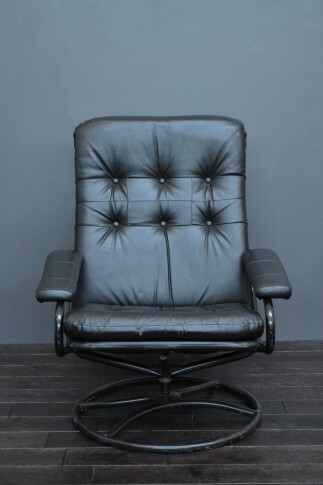 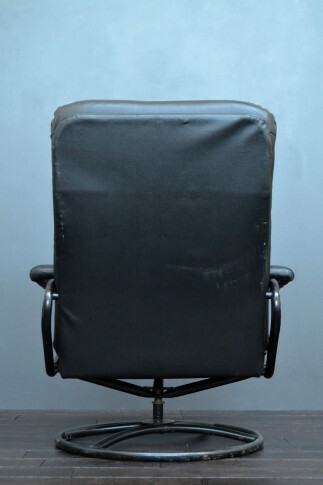 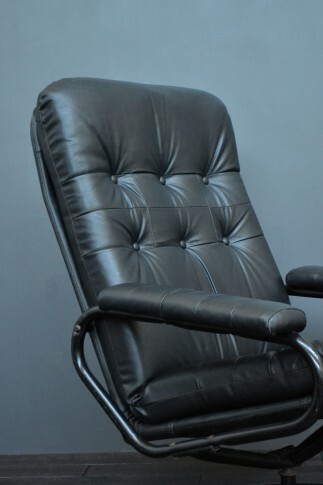 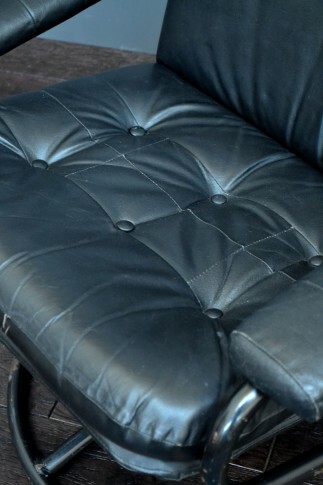 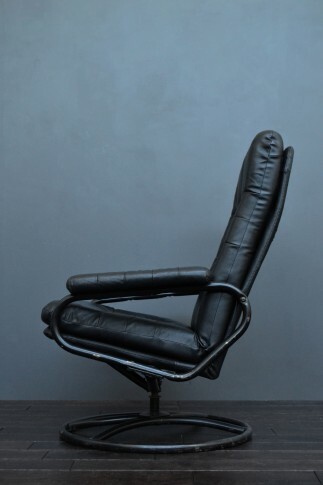 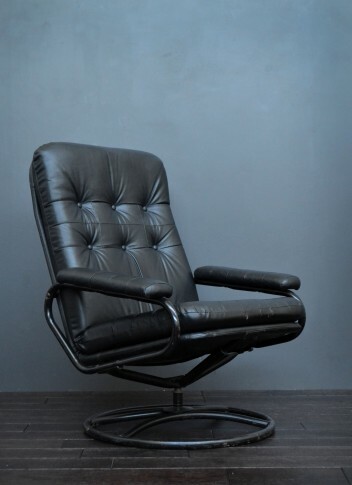 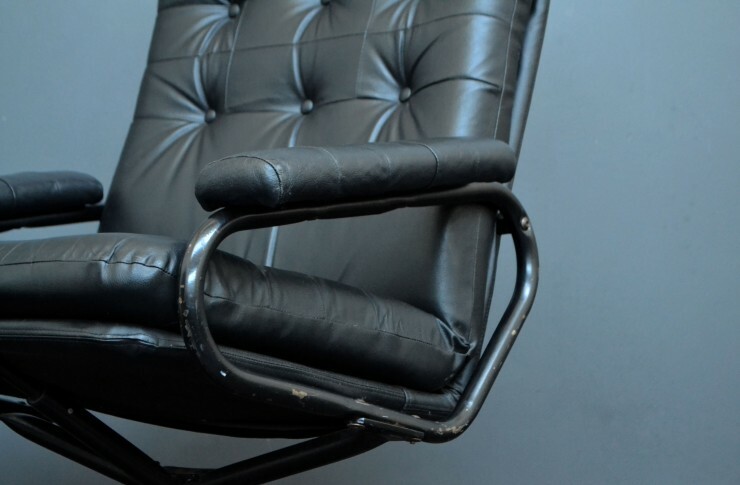 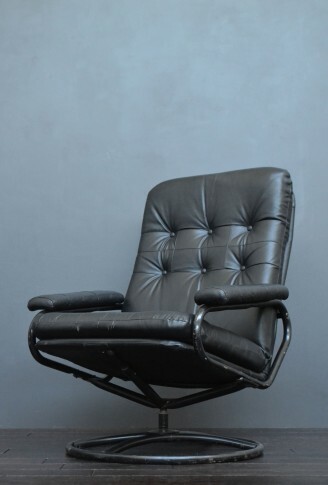 Black Reclining Swivel leatherette chair with a black metal base. 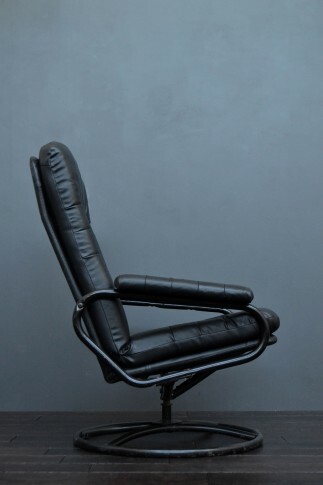 Danish Influence. 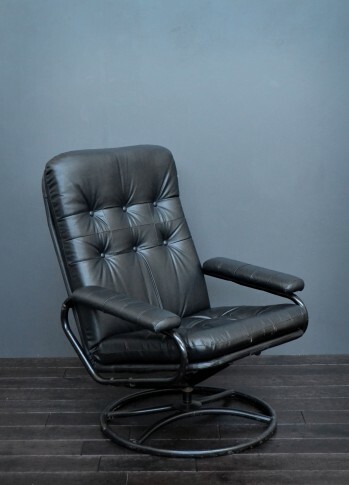 Circa 1960’s.